Thank you for your interest in our massage and spa services. You may reach us by filling out the form here. We offer our services in English, Chinese Mandarin, Taiwanese and Thai. 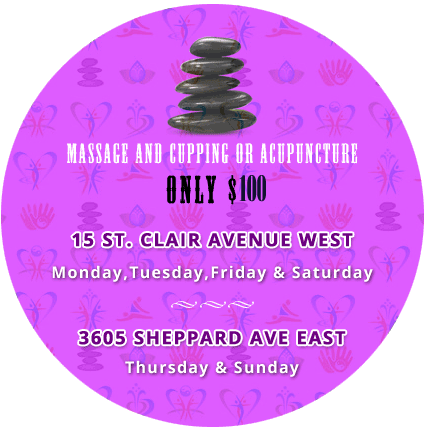 Alternatively, you can also choose to give us a call : 416-924-1818 or by e-mail : kingthaimassagespa@gmail.com (In our best efforts to prevent spams, please replace symbols inside [ ] accordingly). Please specific your preferred day & time. Please specific services you’re interested at. We have 2 locations. First one is located at the centre of Toronto midtown. Second one is at Scarborough at Sheppard and Birchmount. It has a parking lot there. There are various convenient ways you can visit us with ease. By Public Transit, By Driving, Available Parking Space. 1. Take the subway to St. Clair Station. 2. Exit the station, and walk west on St. Clair Avenue for about 1 minute to 15 St. Clair Avenue. 3. Our spa is located on the second floor of the premise. Take a closer look at a picture of our spa’s front entrance here. 1. We are located on St. Clair Avenue — just west of the intersection of Yonge Street and St. Clair Avenue. 2. Our spa is located on the second floor of the premise. Take a closer look at a picture of our spa’s front entrance here. 1. There are many parking spots available on most of the surrounding side streets in the neighbourhood. 2. Also, there is Green-P parking lot located at just northeast and northwest sides of the Yonge and St. Clair intersection.